Happy New Year to all! Below is a great recipe for a night when you are crunched for time. The word lasagna screams comfort food to me. Unfortunately, it takes a lot of time to make. This recipe takes all the same ideas but cuts the prep and cook time in half. And, more importantly for me, it’s gluten free. Oh..and did I mention it tastes yummy! Preheat oven to 375. Grease 9 x 12 dish. Brown beef/turkey in a large skillet. Add chili powder and cumin. When meat is almost brown, add onion, peppers, and garlic. Saute about 2 minutes. Add diced tomatoes and tomato sauce. Simmer for about 2-3 minutes. Pour 1/3 of mixture into bottom of dish. 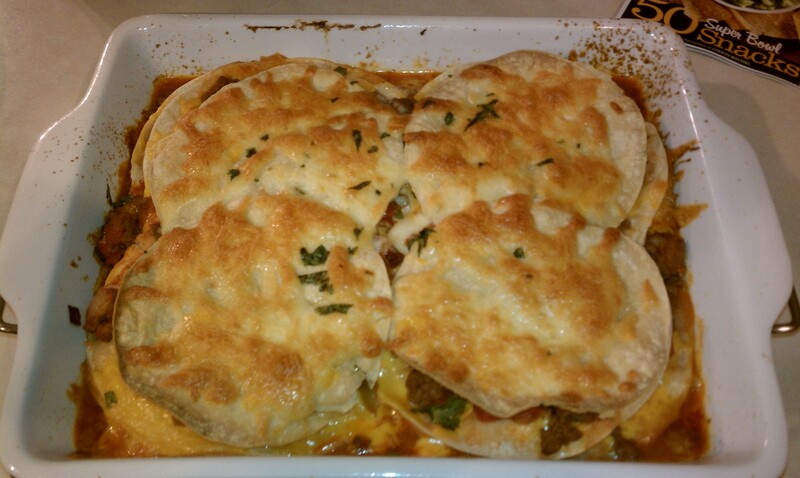 Top with 4 tortillas, cheddar cheese and cilantro. Repeat steps two more times. 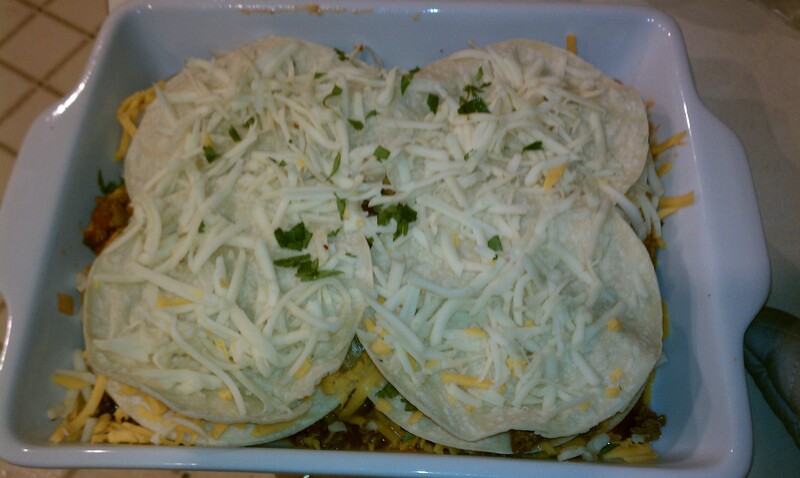 On last layer of tortillas, substitute pepperjack cheese for cheddar. Bake 25 minutes or until tortillas are crunchy and cheese is golden brown.